When Mats Steen, who had been living in a wheelchair in his parents’ basement for years, crippled by muscular dystrophy, died at 25, his parents suddenly heard from friends all over Europe who had grown close to Mats’ game persona in Warcraft. 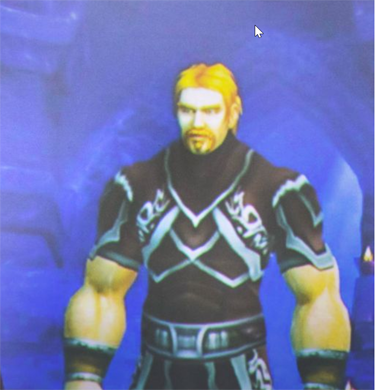 Denied pretty much entirely a life in the real world, the young man, in the last ten years of his life, had managed a pretty much full-time existence as Lord Ibelin Redmoore, a noted philanderer and detective in the planet of Azeroth, one home location in the enormously popular game World of Warcraft. Robert delivered his funeral eulogy for Mats in late 2014, in a chapel at the Norwegian capital’s Western Cemetery. Among those who sat listening to his words – in-between relatives and a few people from the health service who knew Mats well – was a group of people the family didn’t know. Only Robert had met them. And only once, the evening before. Mats had barely left the basement flat underneath his family’s home in the last years of his life, so it was strange that people unknown to the family were present at the funeral. Even stranger – Mats himself had also never met these people. Before his death, these grieving visitors would not have thought of Mats as Mats – but instead as Ibelin, a nobleman by birth, a philanderer and a detective. Some of those paying their respects lived close by, but others had come from afar. They wept for their good friend. Robert and Trude had received the news in May 1993, in a small office in the large brick building that houses Ulleval Hospital. Mats’s parents learned why their boy kept falling off the swings and hurting himself, why he didn’t climb up the ladder on the slide at the nursery, even though he loved to slide down, why he supported himself on his knees like an old man when he rose from a sitting position and why he didn’t race the other children. The doctors told Robert and Trude that Mats had Duchenne muscular dystrophy (DMD), a rare disorder that causes muscle degeneration – mostly in boys. Mats’s genes contained a coding error that would prevent his muscles from developing normally. And which would finally destroy them. “After we put Mats to bed that evening we called the doctor. We had been given permission to do that. We could call any time, if we needed more information,” says Robert. With Trude sitting by his side, Robert spoke on the phone for more than half-an-hour. At the family home in Ostensjo in south-east Oslo, Robert and Trude tried to take it all in. Mats would not live what they considered a “normal life”. He would die young and be taken away from them – without having set his mark on the world. They were so completely mistaken. the Archives of Never Yet Melted in the 'Mats Steen' Category.